The situation along the Florida panhandle following Hurricane Michael remains serious with some counties still experiencing total power loss and search and rescue operations still underway. More than 100,000 are still without power and the storm has claimed the lives of eight people here in the Sunshine State and ten more in Georgia, North Carolina and Virginia. When a natural disaster occurs, people often despair and wonder where God is in the midst of the storm. But Florida Baptists are working to help communities and churches recover and offer hope to people reeling in the aftermath. 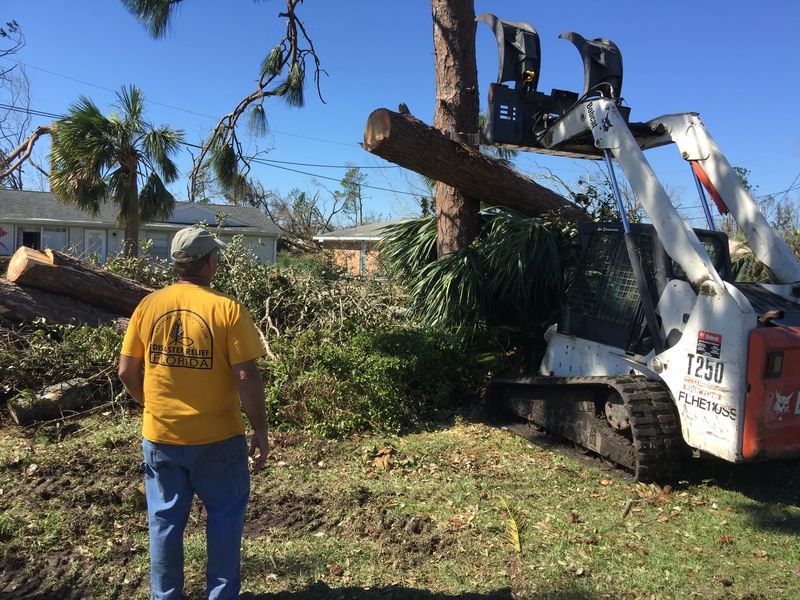 Florida Baptist Disaster Relief’s communication systems have been receiving a constant influx of calls requesting help with downed trees, debris removal, blue tarp set up and directions to feeding centers. Four kitchens are up and running across the panhandle serving meals to Hurricane Michael survivors and clean-up crews are working in Lynn Haven, Crawfordville, Panama City and Graceville. In the latest situation report, Delton Beall, state director of FBDR, said that they have begun plans to add three additional kitchens at the request of the state. “You can support these efforts through giving at flbaptist.org/give. Pray for the hurting and those serving in this critical time of need,” said Green. This week the Florida Baptist Convention will have a list of churches impacted by the hurricane along with their contact information. The list will be posted at www.flbaptist.org/churcheshelpingchurches and will provide partnership opportunities between those churches and other churches or individuals who wish to help. Holmes Baptist Association is receiving donations at their office located at 402 East North Ave, Bonifay, Fl. Items requested include water, non-perishable food items, baby food and baby formula among many others. For a complete list visit their Facebook page. 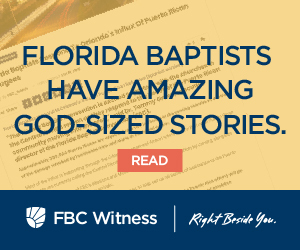 “This is going to be a long-term recovery process,” said Sean McMahon, executive director of the Florida Baptist Association. He adds that while most of Tallahassee is up and running, there have been many churches along the coast that have been flooded and will need a lot of help– along with the communities they serve– to rebuild. “We are partnering those churches with other churches who want to help them,” he said. “I’ve been in contact with Rick Wheeler in Jacksonville and there are many churches there who want to partner and help.” Wheeler is lead missional strategist of the Jacksonville Baptist Association. On Monday morning, McMahon was traveling to churches damaged by Michael with some Jacksonville pastors looking to partner. Gary Townsend, north Florida regional catalyst of the Florida Baptist Convention, said that churches are already poised and ready to help churches in need. New Prospect Baptist Church, he said, is collecting supplies to help the congregations and communities that were severely hit by Michael. “The churches who were not impacted are working to help those that were because churches really know how to help churches,” he said. For more updates follow FBDR and Florida Baptist Convention on Facebook, Twitter and Instagram. If you feel led to give, you can do so here. All donations go directly to Disaster Relief.